Deirtear go minic nach bhfuil scéal ceart Chruthú an Domhain ag miotasolaíocht na hÉireann. San athinsint seo de mhiotas theacht Thuatha Dé Danann, tugann Diarmuid an scéal ceart sin dúinn, scéal ina bhfuil an chruthaitheacht féin i lár an aonaigh. Tá clú agus cáil, chomh maith le duaiseanna, bainte amach ag Diarmuid de Faoite as a chuid aisteoireachta, é ar stáitse agus ar an scáileán araon. I measc na léiriúchán a raibh sé iontu tá Corp & Anam, Ros na Rún, Kings, agus an seó stáitse aonair Pádraic Ó Conaire. Beidh Imbolc 2019 ar siúl 15/16 Feabhra 2019 i mBaile Bhúirne. Scoth na gcainteoirí, scoth an cheoil, scoth an cur is an cúiteamh! 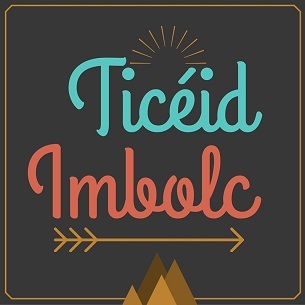 Tícéid anseo.